Coop Cooprider has 4 Aldo Paolucci paintings, also from Naffouj, 2 nudes and 2 abstract. It is amazing the influence Jawdat Naffouj had on so many collectors of art. He still has the little gallery in the Altstadt of Landstuhl, Germany. Its 50 years since we bought our first painting from him and Joy. This still is from a video we shot in 2012. He was showing me his contract with DiegoVoci™. Thirty years ago, December 10th 1985, in the village of Taunusstein Germany, the world lost the Internationally collected artist Antonio Diego Voci, a loving husband, an exceptional father, and dear friend to many. Diego attended tailoring school in Reggio, learning skills he would apply designing clothes for himself and ladies of his liking. But art was his true love. “I must to paint”. Diego did not heed his father’s advice “The God of art does not give bread”. Diego would draw incessantly. We believe there are as many as 4,000 works of art by Diego. Many of these works are yet to be found and catalogued. 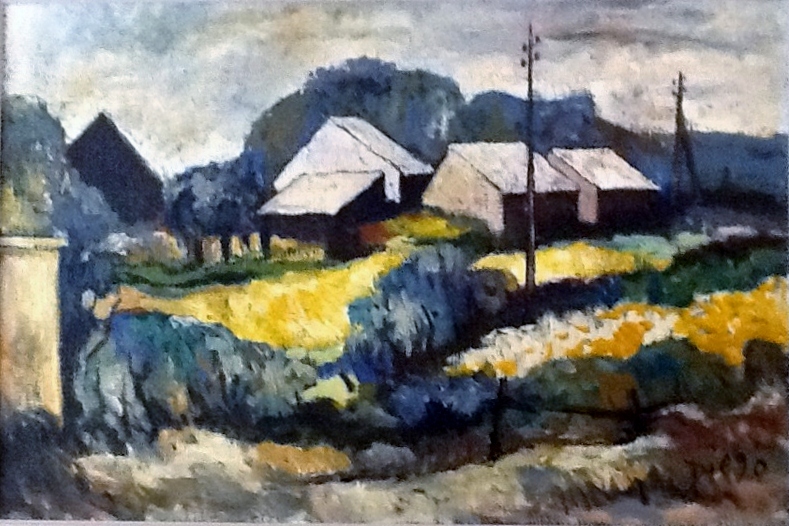 Yet in the elite art world, Diego Voci remained relatively unknown. 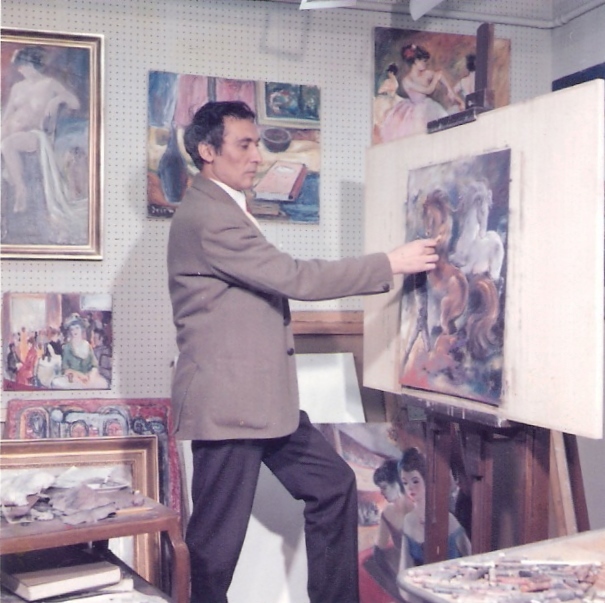 That is changing as his exceptional talent is being discovered by a New Generation.The Diego Voci Project is searching for and cataloguing Diego’s art in the world’s only Diego Voci Archive. Please help us find them all. NEW YORKER CARTOONIST PREDICTED #TRUMP BELLY FLOP. Another case of an artist saying a lot in one drawing. Courtesy DIEGOVOCIPROJECT.COM 30 Years ago DIEGOVOCI™ died. His art lives on. A Clown… A Lion… A TV Guide… What Do They All Have in Common? These are the first two of 4 pages of the first published #DIEGO article resulting from my 1974 short lived efforts to help #DIEGO become better known. The last two pages follow in the next post. The article was written by Victoria Williams. A photo of her interviewing #DIEGO will follow. Notice the pathos #DIEGO captured in the #clown. The original oil was stolen from the attic of the house The Coopriders rented in #Germany. The Coopriders suspected it was taken by the landlord’s son. There is a $30,000 reward for it’s return. Diego Voci on Google and YouTube! WHERE IS THE OWNER TODAY OF THIS ANTONIO VOCI? In January 1965, DIEGO had an exhibition at the Schlossgalerie in #Zurich, #Switzerland. 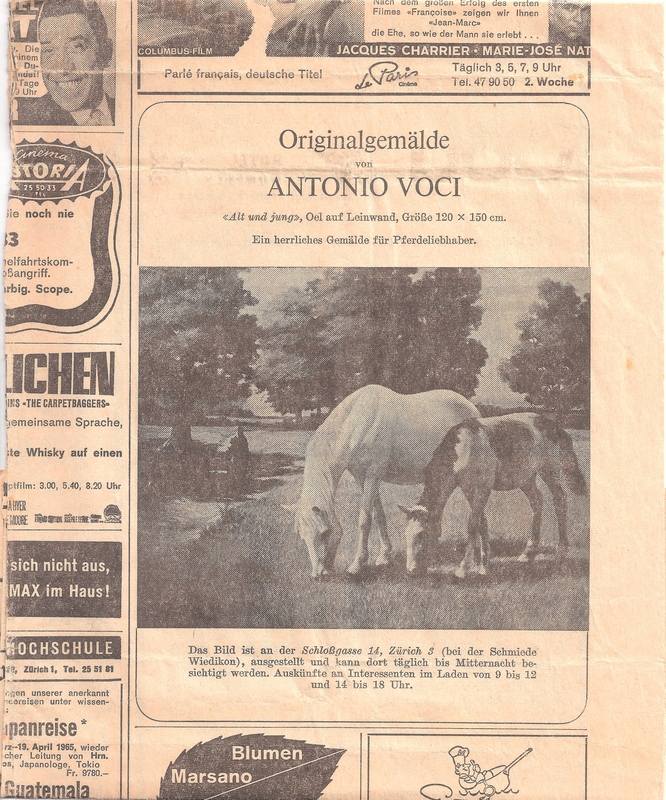 Notice the reference to the name in the “Neue Züricher Zeitung” newspaper ad “Antonio Voci” not “DIEGO”. Helga Drössler had been with DIEGO for five years. Thereafter he mostly signed“DIEGO”. 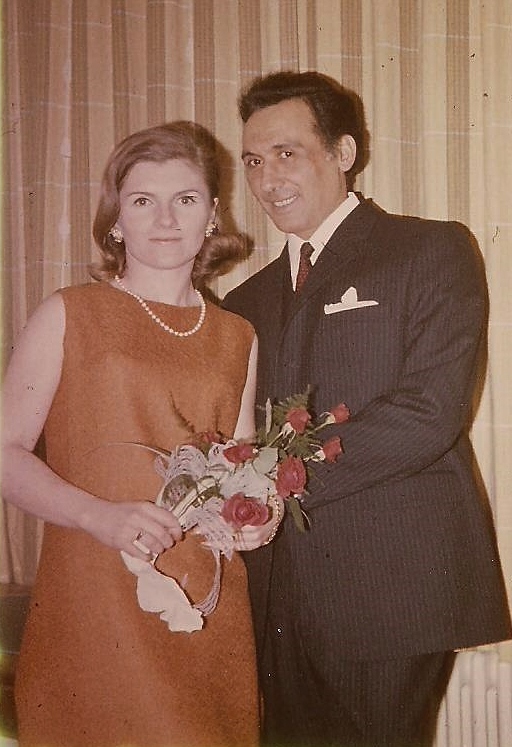 Helga and DIEGO married in #Denmark in 1968. Notice the style. #Realism. Both different from the works DIEGO Collectors are familiar with. It illustrates his #versatility and #craftsmanship (#Picasso painted realism when he first began. So did #Dali). 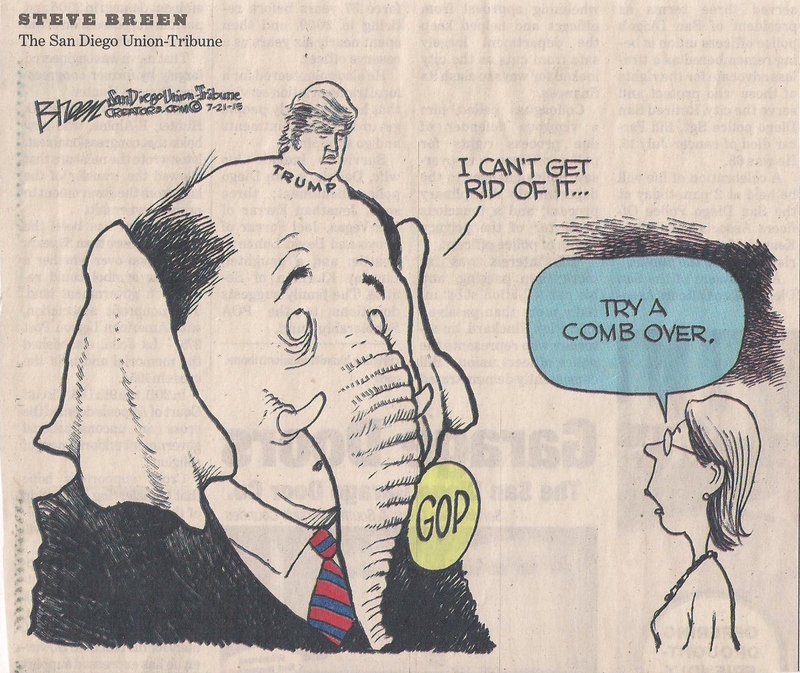 CAN YOU #TRUMP THIS? STEVE BREEN BRINGS YOU THE #NEWS. Chapter 5 #Wiesbaden, #Germany. 1968 Marriage in #Denmark. “In Spring 1965 Diego wanted to go to #Germany and we came to #Wiesbaden where he had been living for sometime with Josiane, his ex-wife. We both liked Wiesbaden, so we rented an apartment in #Sonnenbergerstrasse. It was a beautiful place, we got it for a very low price, but had made a contract for 5 years and agreed to renovate it. So for at least 6 months we were living in the middle of sand, concrete, and tiles. But at the end we had a beautiful high ceiling living-room with open fireplace, fantastic new bathroom and a beautiful Studio. We had hand-painted and gold-plated dining-room furniture which I still have today and many beautiful paintings. In this period #Diego found the Gallery Dahms in Wiesbaden where he exhibited and sold many paintings. He still made caricatures from time to time in #Wiesbaden, #Heidelberg and #Ramstein. There he met Joy Naffouj, a Canadian gallery owner, who was exhibiting different artists in an art show. She was very interested in Diego’s work, so he started to give her some paintings and drawings on commission. Since his work was selling very well, they both made a contract: so many paintings for so much money per month. I believe this was when #Diego began signing with the name”Diego.” Before he had mostly signed A.Voci (Antonio Voci) or D.Voci (Diego Voci). It worked quite well. We finally decided to marry, which we did in January 68 in #Denmark. As #Diego did not have to bother anymore about how to sell his paintings, we decided to spend the winter in the Canary Islands. We took our car in December 1968, with lots of canvases and paints of many colors. We went to #Barcelona and took the boat to Puerto del la Cruz (#Tenerife). We rented a little house on top of a big house with a very big terrace. We had a beautiful view over the ocean. We had wonderful 6 months. #Diego painted each day. Once a month we made a roll of the canvases and sent them to Joy and Jadat Naffouj in #Landstuhl, Germany. Schlossgalerie in #Zurich, #Switzerland confirmed Antonio (#Diego) Voci’s Talents as an #Artist! “Diego had to stay in Marrakech until August, so I decided to take a job in a travel agency in Lugano, Switzerland. This gave me the possibility to work and also to improve my Italian. I was already able to speak, but I didn’t know the grammar, so I took private lessons. Finally in August 1962 Diego joined me in Lugano. In Switzerland it was for the first time, where Diego was seriously looking for galleries. He went to Geneva, Bern, and also to Zurich. In Zurich he found the Schloßgalerie where the owner was very interested in showing his work. So Diego decided to stay for some time in Switzerland. We rented a boathouse at the lake of Constance close to Zurich and Diego painted. The gallery owner sold quite many paintings; but unfortunately I don`t know the names of the customers and which paintings were sold. At that time we never took pictures of the paintings, which is a pity. I feel very sorry, but I was young. I had no experience and Diego did not care. If I could go back 50 years, I would do many things completely different. We stayed in Zurich until June 1963. During this period Diego went also several times to Aviano, Italy, the American base. He would do caricatures there. At that time a painting was sold and brought to President John F. Kennedy, who was visiting Wiesbaden. (I don`t remember what it looked like). SEEKING CARUSO! DOES ANYONE KNOW #JERRYCARUSO? Jerry Caruso wrote to Artifact Collectors on January 27, 2013 that he was interested in selling his Diego landscape, see image below. The Diego Voci Project responded but, it seems because it was only a “Guest” post instead of registering as an Artifact Collectors Member (it’s free), everything is lost somewhere in cyberspace. The official Diego Voci Archive needs more historical details on this painting. We can tell it is from the late 60’s and probably came from Joy and Jawdat Naffouj by the frame and the “J” by the serial number. 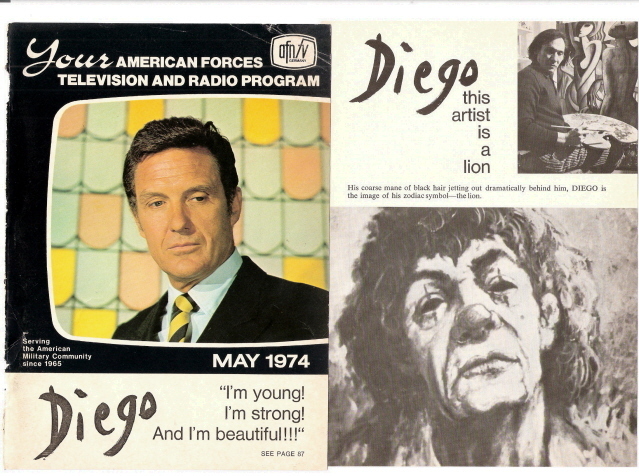 During this time-frame of 1968-74, DIEGO was represented by Canadian art dealer Joy Gibson beginning in 1965. Joy’s business was located in Zweibrucken, Germany and located near with the Canadian Air Force Base, it was there where she met Jawdat Naffouj then soon moved to Ramstein / Landstuhl where they established a gallery and got married. Please contact us diegovociproject@gmail.com or visit www.diegovociproject.com.